If you’re old enough to remember Betamax, you'll no doubt remember the so-called war of the home video formats. Betamax was supposed to be technically superior, yet VHS became the dominant player in the home video market. Rightly or wrongly, this is still used as an example of how the best technology doesn’t always win out. One of the main takeaways from this and many other technology showdowns is how hard it is to choose between emerging standards. Any company looking to invest heavily in a new technology had better be sure it’s going to be a winner. But with innovations flying out of the starting blocks faster than at any other point in history, how can you be sure a new technology is going to be here for the long-term? The smart home market is in the midst of its own technology conundrum. Like any emerging market, there are different players and different technologies vying for dominance. Smart home devices are dependent on reliable, efficient wireless communications and established technologies – Bluetooth and Wi-Fi – are being complemented by proprietary protocols like Insteon and HomeMatic and new standards like ZigBee and Z-Wave. Each has its advantages depending on the use case; reach, security, power consumption, compatibility and bandwidth are all important technical considerations. And each has its supporters, with the ZigBee and Z-Wave alliances both building an impressive ecosystem of device manufacturers. But the good news, at least for smart home service providers, is that there is no need to take sides. It’s not so much hedging bets; it’s being able to bet on all of the options at once. For the smart home provider, the critical element is the home hub; the command center that connects all the devices in the smart home with each other and to the outside world. Many smart devices come with their own hub, meaning that adding a different type of service would require an additional hub. Both would then need to be connected to the home’s broadband connection, via a router or residential gateway. That’s a level of complexity most people could do without. 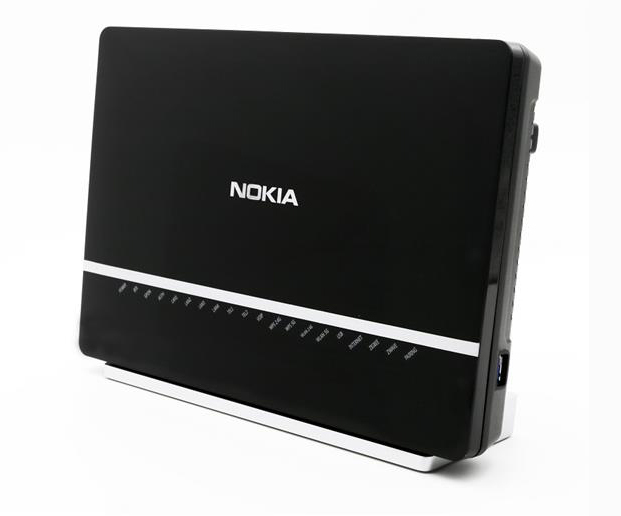 A smart choice for the smart home: Nokia 7368 ISAM ONT G-240WZ-A home hub that combines unparalleled connectivity with the most advanced Wi-Fi® capabilities. Consider a home hub that talks to all devices, regardless of the wireless technology. A hub that integrates Wi-Fi, ZigBee and Z-Wave would enable a service provider to connect around 70% of the smart home devices available today. And if all that connectivity happened to reside in the same box that provided the household’s ultra-broadband service, then deploying new smart home devices and services would be child’s play. That’s what you get with Nokia’s new home hub gateway. The telecoms industry has a long history of finding common ground between competing standards, whether it’s industry bodies like the ITU or grassroots alliances like ZigBee, Z-Wave and Nokia’s own ng Connect program. In fact, we’re very proud of our commitment to open standards and our leading position with many of these organizations. The point is to give consumers the best options, to allow businesses to compete fairly and to let innovations in technology drive improvements in all of our lives, not just for a few. We can have every confidence that the industry will pull it off for smart home connectivity as well. But in the meantime, the Betamax trap can easily be avoided in the smart home by uniting different technologies into one universal hub. It’s possible to support a maximum number of devices and give consumers the best choice, which can only be good for smart home service providers and the smart home market as a whole.